Our Guarantee: No Points. No Court. 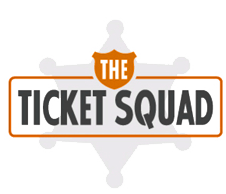 When The Ticket Squad handles your traffic violation, you get our guarantee: no points, no court or your money back. * Our Orlando traffic lawyers are former prosecutors, and we do everything in our power to get your case dismissed, get your fines reduced and keep your record free of points.Fees start at $75 for traffic tickets. If you have been charged with a traffic violation in Orlando or elsewhere in Florida, you may be tempted to simply pay the ticket and forget it. Think it over. Paying the ticket is an admission of guilt and it comes with immediate and long-term consequences you should not take lightly. You have the right to fight the charge. 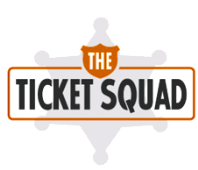 The Ticket Squad is committed to protecting your driving privileges and your record, while helping you avoid fines, increased insurance rates and other adverse consequences of a traffic violation. With over two decades of experience, our attorneys have a comprehensive knowledge of the law.We have successfully handled thousands of traffic violations. We defend against all Florida traffic offenses such as speeding tickets, driving with license suspended, DUI, racing, reckless driving, red light camera offenses and more. Our lawyers also defend against criminal offenses, including misdemeanors and felonies such as drug charges. *Money back guarantee applies to noncriminal, civil infractions.